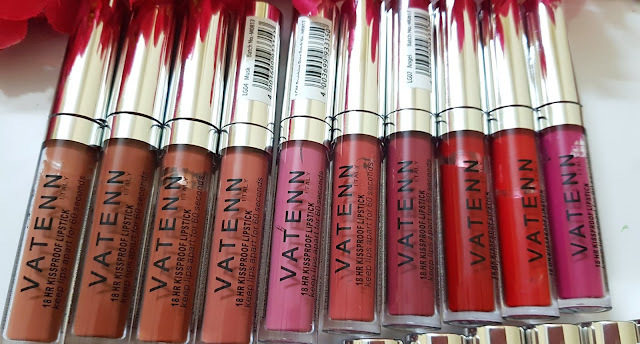 Vatenn Italy 18HR Kissproof Liquid Lipsticks Review &Swatches! AVAILABILITY: Available on Amazon and flipkart. 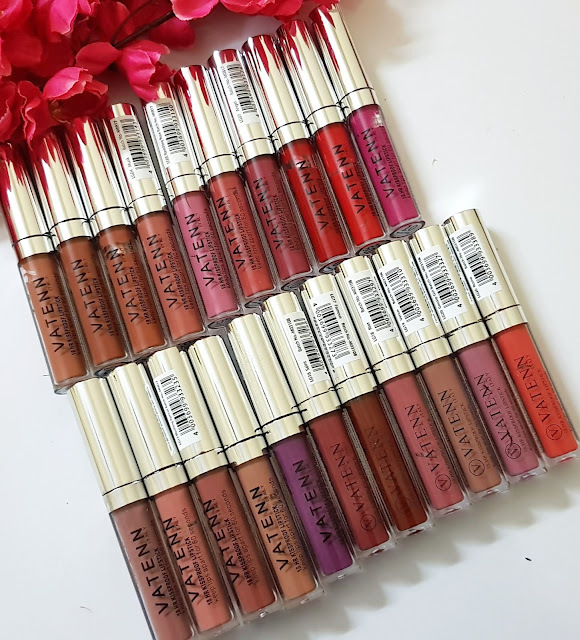 PRODUCT CLAIMS: A waterproof, full-coverage liquid lipstick with a smooth, matte finish. 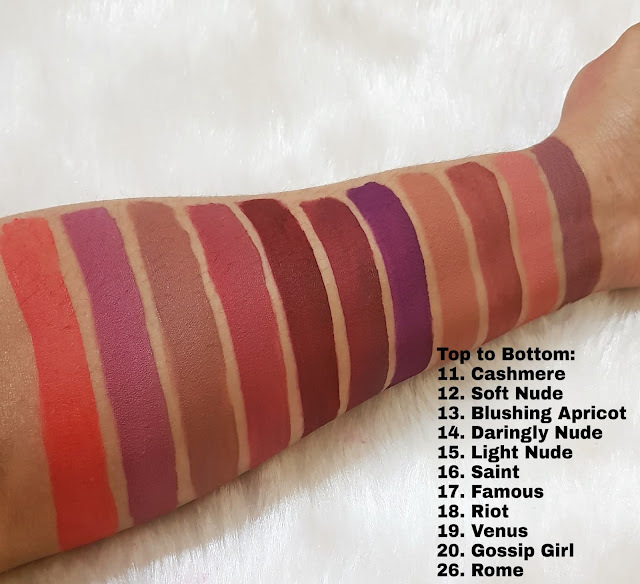 18 hr kissproof liquid lipstick gives lips long-lasting wear and high-pigment color. Its color-rich formula glides over lips like a gloss but dries to a true matte finish. 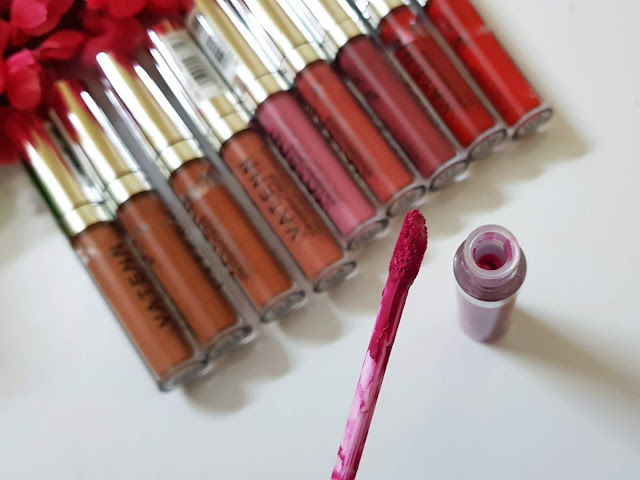 Water proof long time matte finish and our multi-functional products have been specially developed to not only reduce the number of products you need to carry in your handbag but also cut down the number of steps you need to follow while applying makeup. With our single-use products, we have created textures, precise applicators, which simplify and reduce the amount of time you need to do your makeup. DIRECTION FOR USE: Exfoliate and apply a good lipbalm before proceeding to apply the liquid lipsticks. Apply it swiftly and wait for it to dry before applying another coat. Vatenn Italy 18 HR Kissproof Lipsticks have a formulation which ensures you have a flawless and even finish. 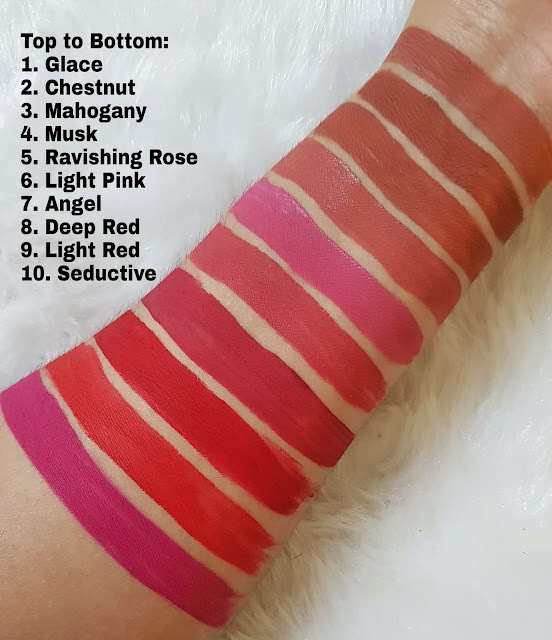 The reason I chose these lipsticks was because of them being new in the Indian market and also because of the much raved-about top-notch quality. 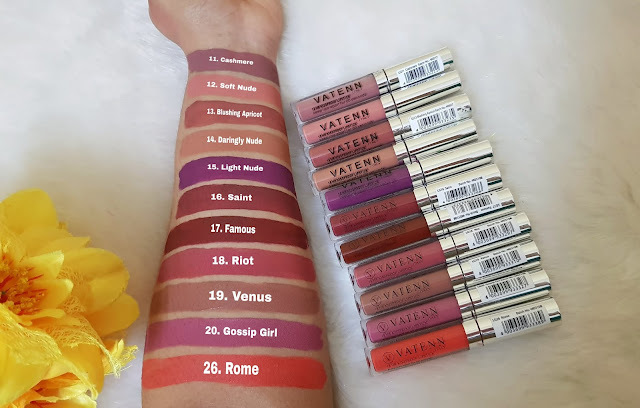 After picking them up, I was a bit skeptical that they're going to be just like any usual liquid lipsticks. But a visible difference can be seen upon the application. Want to know more keep reading further. There is nothing new about the packaging, it is simple and ready to use. The shape of the tube is compact and it will easily fit inside your vanity box or even your pocket! The applicator of the lipstick comes attached with the black cap. It is easy to apply it with the wand-tip which also guarantees precision of application. It is super sturdy as well. 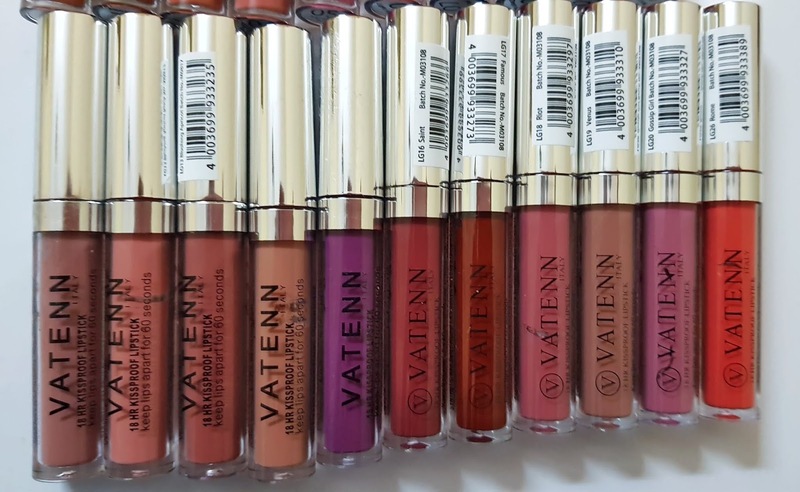 Vatenn Italy 18HR Kissproof Liquid Lipsticks Review & Swatches! The body of the lipstick is transparent and and you can see through the shade of the lipstick which is really handy in finding out shades easily. The top of the lipstick has a regular screw-on black cap on it that screws back properly and avoids any chances of leakage of the product. The shade names are mentioned on the base of the tubes and as well as the outer cardboard box. 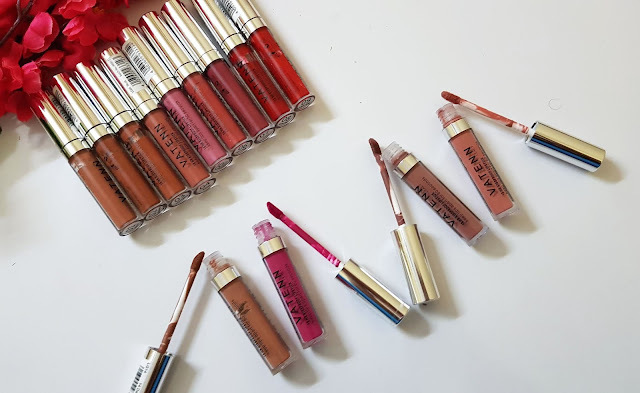 The liquid lipsticks come in a plethora of shades. It is truly smudgeproof and waterproof so you can enjoy light meals without worrying about your lipstick. The shade that you get on the lips is exactly the same match of what you see inside the tube. The texture is smooth, buttery and creamy making the product spread evenly without tugging or pulling on your lips. The finish is velvety and matte. Only one single swipe across your lips is more than enough for a pigmented finish but it is quite easily buildable if the need arises. The formula is lightweight and it feels comfortable on the lips. It will accentuate fine lines of your lips if not applied properly so don't forget to use a good lipbalm beforehand. Blushing Apricot, Seductive and Cashmere are absolutely gorgeous shades that must not be missed. The shades look absolutely stunning on my lips. They're subtle, not too overpowering and perfect for Indian skin tones as well. They actually complete your whole look and take it to another level. Price-wise, they are a bit on the costlier end but the quality and pigmentation of the shades make them worth it. 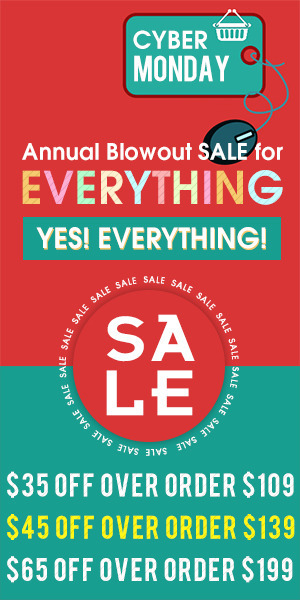 But they are always on discount so nothing much to worry about that. It's recommended to exfoliate your lips and apply a lipbalm underneath if your lips are extremely chapped and dry, as is the case with any liquid lipstick. They say these liquid lipsticks last for about 18y hours. While I haven't been able to wear them for that long, I can pretty much vouch for their long-lasting formulation. They can definitely survive meals and drinks and even a hectic day! A little costlier than the usual liquid lipsticks( But most of the times on discount). 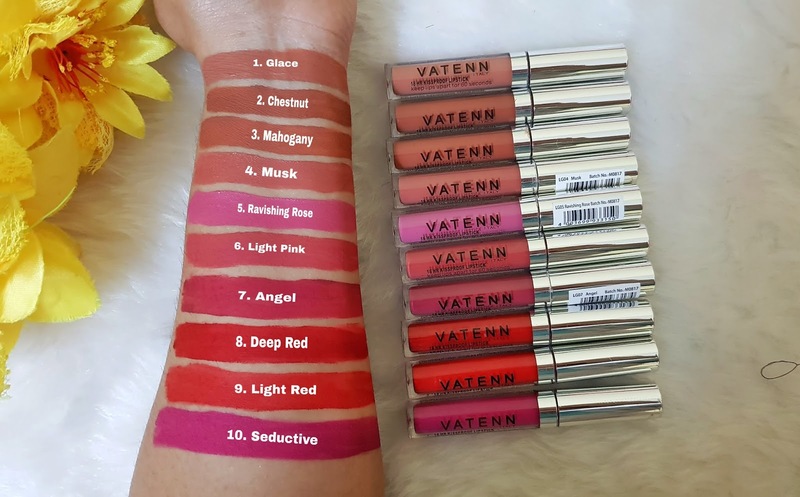 Vatenn Italy 18 HR Kissproof Lipsticks offer a bubble burst of pigment with just a single swipe and a matte, smooth finish which can jazz up any look. They are available in stunning shades that will make it difficult to choose from. The shades are perfect for daytime as well as evening looks. You can choose from pinks, nudes or classy bold shades. There isn't a reason to not try them. If you're looking for a new brand to try, then this might be it. IBN RECOMMENDATION: Your search for a highly pigmented, matte, long-lasting liquid lipstick in utterly fabulous shades ends here. Go ahead and buy them! Astaberry Diamond Facial Kit Review! Qraa Men Red Onion Oil Review!